This is just one possible application of a new type of robot created by mechanical engineers at Stanford University, detailed in a June 19 Science Robotics paper. 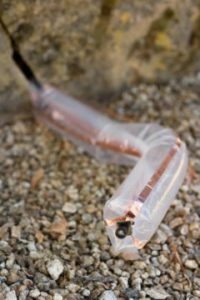 Inspired by natural organisms that cover distance by growing — such as vines, fungi and nerve cells — the researchers have made a proof of concept of their soft, growing robot and have run it through some challenging tests. Materials provided by Stanford University. Original written by Taylor Kubota. Note: Content may be edited for style and length.